The Pokemon craze is back, thanks to the wildly popular app Pokemon Go. Now that you have the game and a good cache of zubats, it's time to take a break and do some online shopping. Here are some of our favorite Pokemon-inspired items. Dress like a Pokemon with a cuddly onesie. You can pretend to be Charmander, Pikachu, or Umbreon. If a full body outfit is a little too intense for you, you can settle for the subtlety of a snapback hat. Choices include Bulbasaur, Charmander, Pikachu, Meowth, and more. It feels like you can get pretty much anything printed on socks these days, and Pokemon characters are no exception. 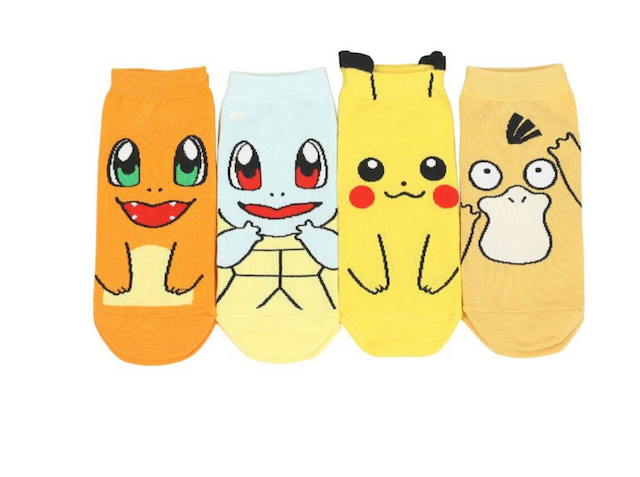 You can get socks with all the starters on them except Bulbasaur, who has been replaced with a Psyduck for some reason. Pikachu's ears even stand up over the top of the socks. You can also try these higher Pikachu socks if ankle socks aren’t your thing. Let’s be real here: You’re a Pokemon trainer now, so you need to look the part. Don Ash Ketchum’s signature red hat from the original series so people on the street know how serious you are while swiping on your phone. Once you have your hat, you’re ready to take on some gyms. The gyms in Pokemon Go aren’t quite the same as in the show or Gameboy game, so that means you’re not going to get any badges. But fear not: You can buy your own badges that you can proudly display on your lapel. Sure, you didn’t earn them the traditional way, but we’re pretty sure Ash was terrible at gym battles anyway (he totally cheated to get the Boulder Badge). This keychain will keep all your keys and favorite Pokemon in one place. The enamel charms include Charmander, Squirtle, Bulbasaur, Meowth, and Psyduck. You can also get a keychain exclusively of Pikachus or Eevee evolutions. While everyone is busy battling, scoop up all the prime real estate in Kanto. This Pokemon spin on Monopoly features Pokedollars and gyms instead of boardwalk locations. Houses are depicted as Pokemarts and hotels have become Pokemon Centers. Using a metal Pikachu, Bulbasaur, Charmander, Squirtle, Eevee, or Jigglypuff, the player aims to capture as many gyms as possible to become the next Pokemon Master of board games. Why make boring cranes when you can make Pikachus? This 80-page book shows readers how to fold paper to create Pokemon favorites, including Eevee, Charizard, and Bulbasaur. It includes enough paper to make a total of 10 Pokemon. You might also need a pen to fill in the facial features, but hey, paper has its limits. Show team pride with a special patch that matches your Pokemon Go alliance. 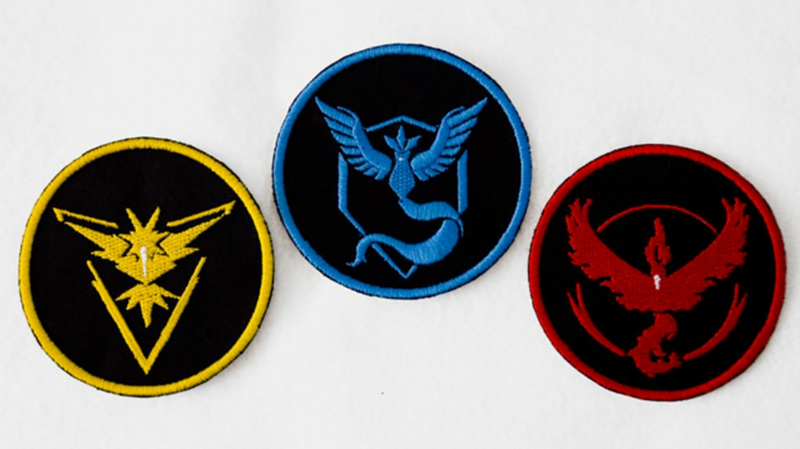 Whether you’re part of the hot-headed Team Valor, analytical Team Mystic, or intuitive Team Instinct, you can let everyone know where your loyalties lie. After a hard day of catching Pokemon, relax on the couch and enjoy some nostalgic cinema. The original Pokemon movie is the perfect way to celebrate the franchise's resurgence into the mainstream. Not nostalgic enough? What about if it was on VHS? Make your childhood dreams come true and order 144 tiny Pokemon figures. The small plastic figures are about half an inch to an inch tall. The types range over multiple generations, so there’s no telling which you will get. Collect enough of these and you'll literally be swimming in Pokemon—just sayin'. These bath bombs combine the soothing comfort of a bubble bath with the excitement of getting to the bottom of a box of cereal. When you plunk the Pokeball-shaped bath bomb into the tub, it explodes in swirls of color and citrusy smells. Once it finishes, you’ll be left with a dark bath and a new toy. To go along with your Pokemon-themed bath, might we suggest some romantic Pokemon-shaped candles? The soy wax candles have a cotton wick and are made with non-toxic oils and coloring. The small and colorful candles last about an hour or two and should be burned in a bowl to catch dripping wax. Buyers can pick out the Pokemon and scent/color they desire before checkout. This cool 8-bit Pikachu will look great on your denim jacket. The enamel pin has two posts to keep the tall shape upright. Create delicious sugar cookies that look like a (sort of cross-eyed) Pikachu. This cookie cutter is created with 3D-printed plastic and made to order. You can use it to cut fondant, cookie dough, or other soft materials. It’s also dishwasher safe for easy clean-up. 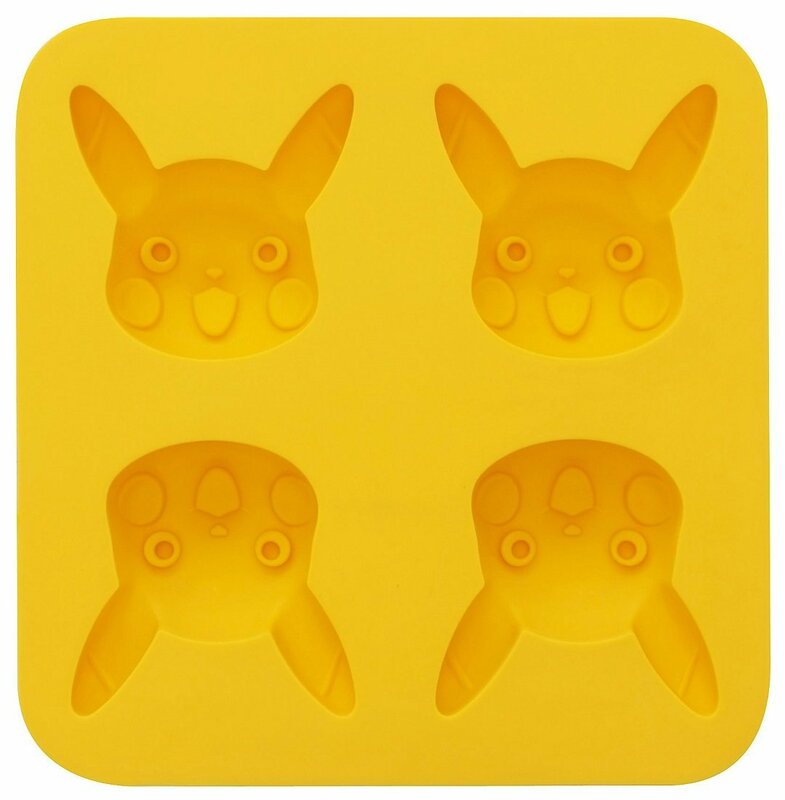 For more culinary fun, check out this Pikachu mold. You can make four delicious Pikachu faces out of anything from chocolate to cake. You can also fill it with water for really adorable ice cubes. Look bookishly stylish while still showing off your love of Pokemon. This dark cardigan comes with a Pokeball on the breast and Pikachu on the back. If your phone battery dies, you can still see Pikachu in real life—just put this costume on your dog. Just don't throw any Pokeballs at your pet. Keep warm when exploring with this knit sweater.